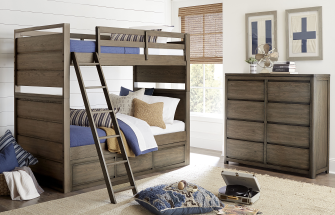 Use with Panel Beds, Upholstered Beds or Bunk Beds. Takes a standard foam trundle mattress (max size: 73 x 38 x 8) as use as additional sleep or 2 removable dividers allow for underbed storage. Requires Bed Rails, Rails must be a high lock position.